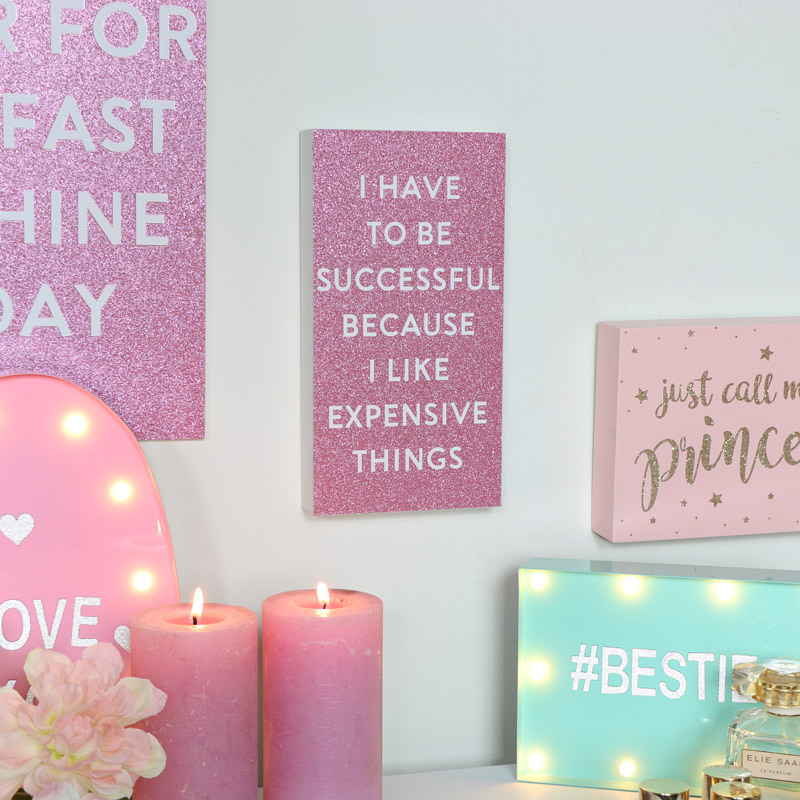 Sparkly, Pink and Glittery with an empowering and inspiration quote to tell you “You have to be successful”. A quirky girly gift for any bedroom, office or room that needs a little extra sparkle. The matt white, bold writing stand out against the pink glitter back ground that makes up this wall mountable or free standing wooden quote block. This plaque would make a great present / gift whether it’s a birthday, new job or just a little pick me up present. 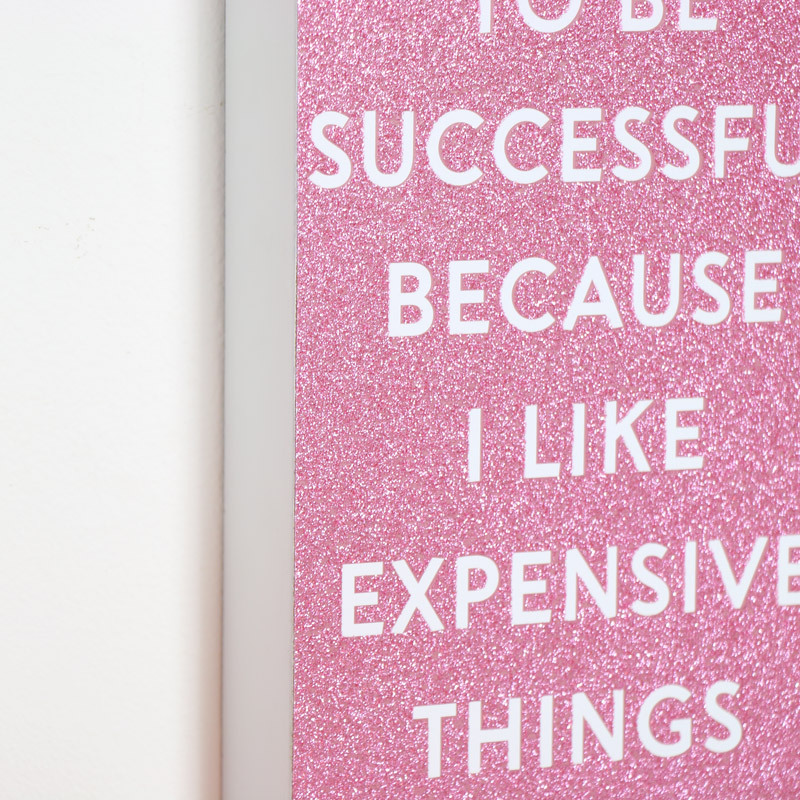 Sparkly, Pink and Glittery with an empowering and inspiration quote to tell you “You have to be successful”. A quirky girly gift for any bedroom, office or room that needs a little extra sparkle. The matt white, bold writing stand out against the pink glitter back ground that makes up this wall mountable or free standing wooden quote block. This plaque would make a great present / gift whether it’s a birthday, new job or just a little pick me up present. With a saw tooth on the back for easy wall hanging on a single nail, screw or tack it's quick and easy to put straight on your wall of choice. We have a large range or girly gifts available, from plaques to ornaments and trinkets. Add a touch of sparkle to your's and your friends home.